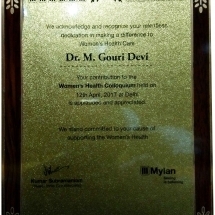 Dr. Gouri Devi is one of the most eminent Gynaecologists of Delhi having conducted more than 50000 Gynae. Obs. procedures over a career spanning 41 years. 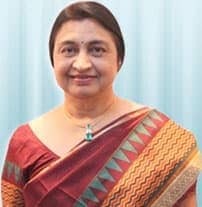 She is currently director of the Department of Reproductive Medicine at Ridge IVF Pvt Ltd. And Director of Gouri hospitals ltd.
Head of Dept of Obstetrics and Gynaecology, Sunderlal Jain Hospital, Ashok Vihar (1985-2012). 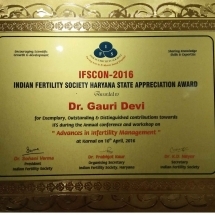 Presently President, INDIAN FERTILITY SOCIETY. MTP advisory committee, Govt Of NCT of Delhi. Organizing Secretary – “Colposcopy Workshop”, in Sunder Lal Jain Hospital with AOGD 1994. 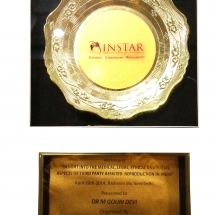 Convener – Multi-specialty Conference “Academia 2000” organized by Indian Medical Association. 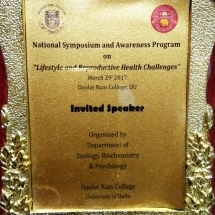 Received Gold Medal for the paper “Treatment Profile of 60 cases of PCOD conceived “presented in AOGD conference. 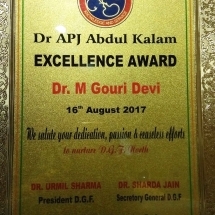 Recipient of Kanak Goel Award 1995-1996 from Indian Medical Association in Recognition of work in Family Planning/Child Welfare/ Community Health. The Economic Times Inspiring Gynaecologists of India 2018. 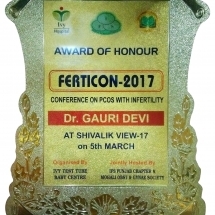 IOG Dr. Satya Paul awards 2018 for Excellence in Infertility treatment. FSH stimulates IRS-2 expression in human granulosa cells through cAMP/SP1, an inoperative FSH action in PCOS patients G. Anjali a, Surleen Kaur a, Ruchi Lakra a, Jyoti Taneja a, Gaganjot S. Kalsey a, Anjali Nagendra a, T.G. Shrivastav b, M. Gouri Devi c, Neena Malhotra d, Alka Kriplani d, Rita Singh a : Cellular Signalling 27 (2015) 2452–2466. Supplementary data to this article can be found online at http://dx. doi.org/10.1016/j.cellsig.2015.09.011.